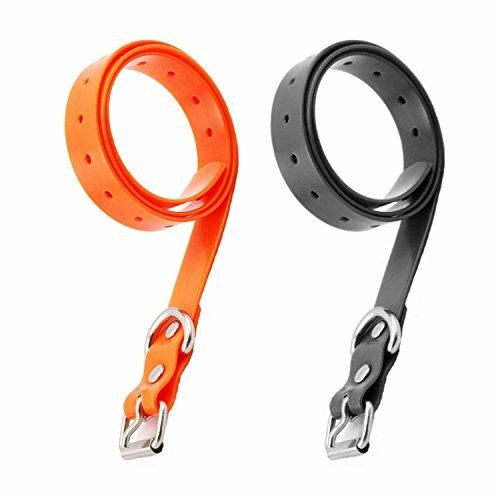 Suitable for most of dog training collar receivers.It can be used in these brands for example：ETPET iPets, Petrainer, Aetertek, Pettech, Garmin, Delta, Dogtra, SportDOG, Tri Tronics, Petsafe, TrainPro, Educator, Esky. Our Waterproof, Odorproof High Flex Buckle Sturdy collar replacement straps are crafted from durable TPU,can be used for a long time. Width 1.8cm/0.7in, Valid Length 6.3 in 一26.4 in.